This project will look new to a lot of you, but some of you that followed my old blog will recognize this chalkboard. When I started blogging here at Carry Grace earlier this year, I planned to move my posts over. It hasn't happened yet. I needed a little nudge. One of my favorite YouTube friends Terri, from Homemaker on the Homefront, was looking through my archives and found this project. This was the nudge I needed to get my stuff moved! It won't happen all at once, but you will start to see them sprinkled in over the next few weeks. I don't know when Terri is planning to post her project on her YouTube Channel, so go subscribe so that you don't miss it. I may have seen a little sneak peek. You really don't want to miss it. Today we are going to talk chalkboards. I was intimidated by them for a little while, but they are so simple. I have made many different ones over the years. 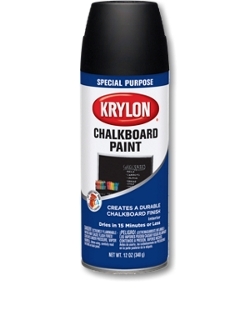 I have always used Krylon's Spray Chalkboard Paint for painting on glass, and have had great results with it each time. This frame started out like this. It was leftover from a friends yard sale a few years ago. The size and shape of the frame were perfect for a small, awkward wall in my kitchen. I simply removed the backing and the glass. I sprayed the chalkboard paint directly to the front of the glass. It took 3 coats to get the nice even coverage I was looking for. I have moved things around and am no longer using this as a chalkboard, but when I did, I used it for seasonal chalkboard art. Do you have any chalkboards in your home? 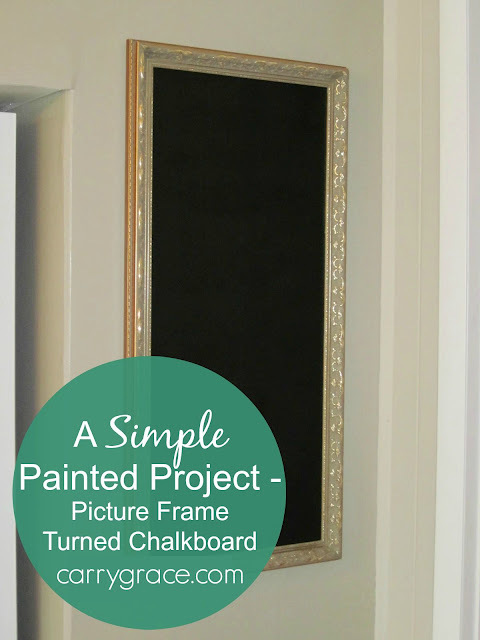 Have you used the spray chalkboard paint?